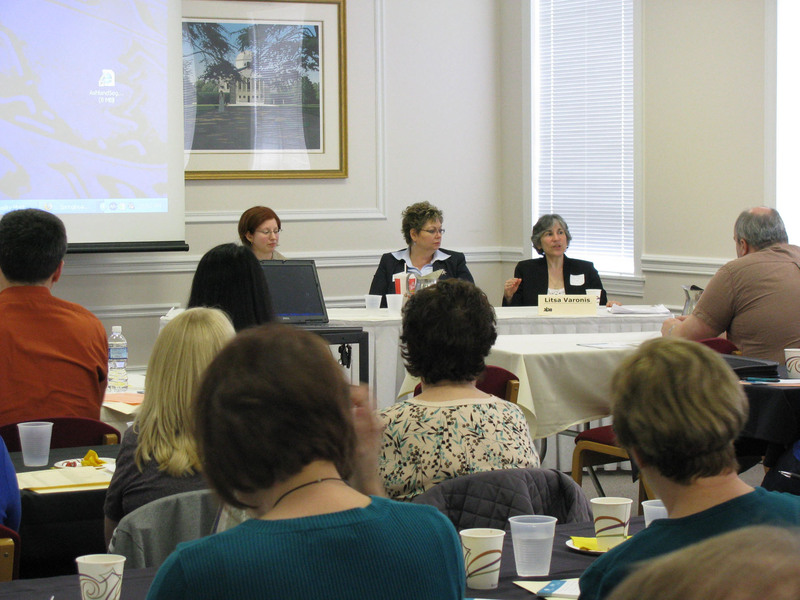 On March 12, 2010, the Instruction Interest Group (IIG) co-hosted a spring workshop with the Distance Learning Interest Group (DLIG) at Ashland University. Titled Effective Instruction from Design to Assessment, the workshop offered two sessions and plenty of time for networking for the 44 attendees from across the state. During the morning session, Instruction by Design: a Panel Discussion, a group of instructional designers from three institutions discussed innovative methods for designing classes. After a buffet lunch, Carolyn Radcliffe from Kent State University shared assessment techniques in a session titled Knowing What They Know: Information Literacy Assessment Techniques. Feedback from the workshop evaluations was overwhelmingly positive. The IIG looks forward to sponsoring a session, Teaching Tomorrow’s Students Today, at the forthcoming ALAO Annual Conference.